This Samurai Warrior Tanto assisted opening knife is like having a katana in your pocket. The handle is crafted to resemble a katana's wrapped rayskin handle with a cast menuki on both ends and a Samurai crest medallion cast into the middle of the handle. 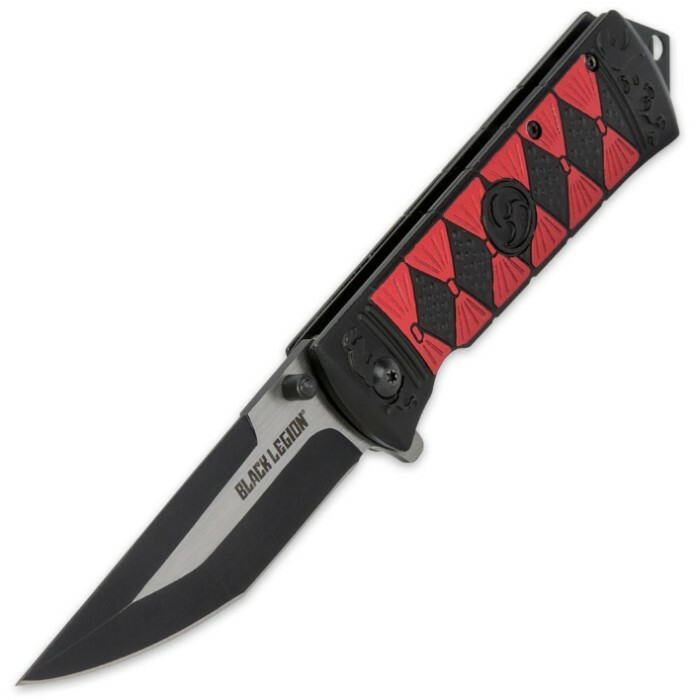 The 3 1/2" black-coated blade is razor-sharp and opens with lightning speed with just a nudge of the thumb stud with the help of the assisted opening mechanism. A skull crusher pommel is pre-drilled with a lanyard hole to add your own lanyard. 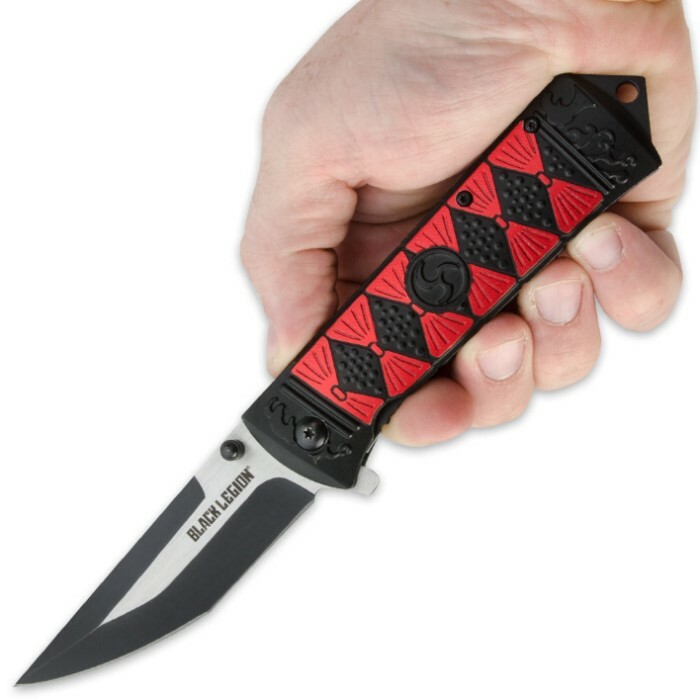 Includes a pocket clip for keeping this tactical tanto close at hand. Incredibly sharp straight out of the box. I bought this because of it's attractive design but then when touched the blade i was surprised at its sharpness. Cuts through paper effortlessly and i was even able to shave hair from my arm off. 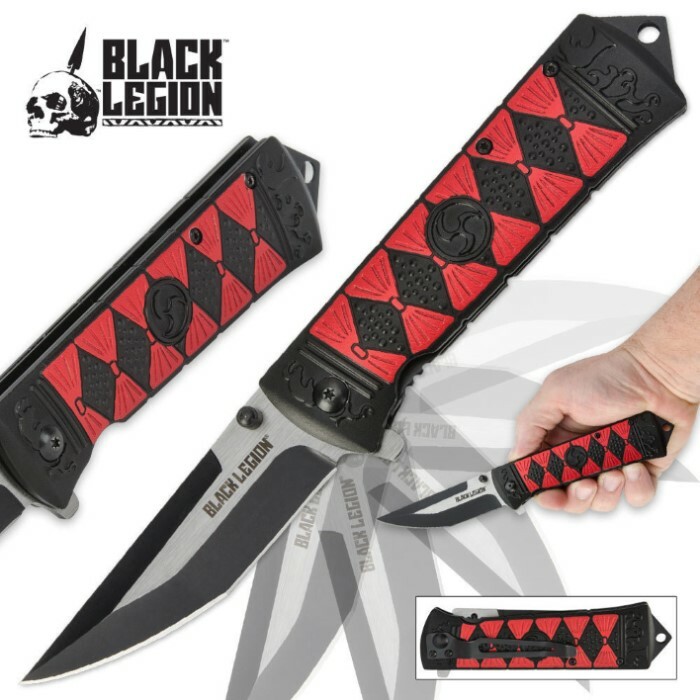 All I have to say is I'll be ordering more Black Legion products! Very satisfied! For the price, I was rather impressed by the quality of this knife. It's not something that I would carry around on a regular basis but I have one in the dash of both of my vehicles. Nice weight and decent sharpness. GREAT value for your $10.